Sorry but we have sold out of the calendar. Please do not attempt to order as we cannot supply this product. No matter where we turn the earth is full of God’s glory. Marvelous! Majestic! Magnificent! This year you can enjoy beautiful images in your home from places all around the world. Each month is spectacular. On each of the thirteen months you can be encouraged by a creation message and a word from the Creator Himself. 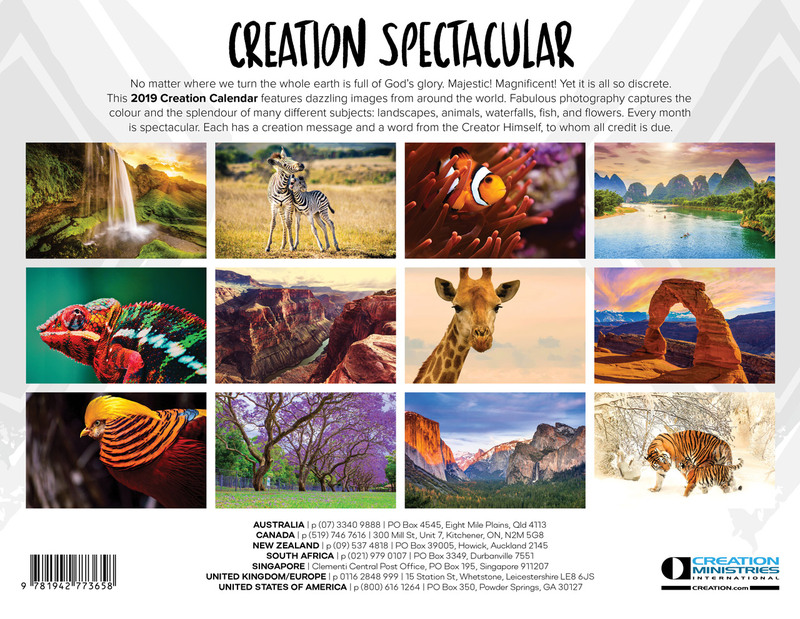 The fabulous photography captures the colour and splendour of an assortment of subjects: landscapes, animals, waterfalls, fish, and ?owers. Be one of the many people who have been thrilled to have the calendar on the wall of their home. 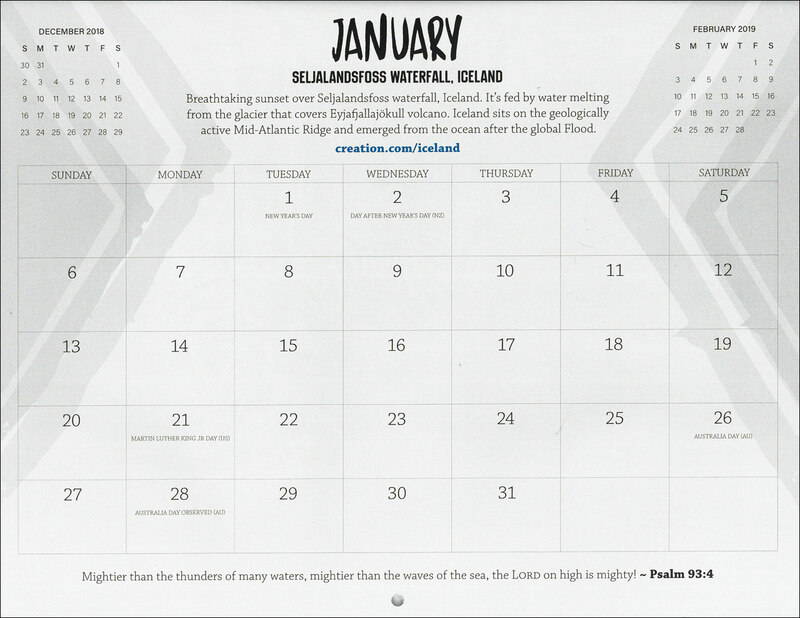 Why not treat your calendar as an evangelistic tool? Give them to your friends and loved ones. It will remind them of you through the year, and of things eternal. Bulk discounts apply. Don't delay as only a limited number are available … and we sold out last year! Sample month of January 2019. Each space to write in is 4 x 2.8cm (1.6 x 1.1in).